When data is available, then it will display the data in FlatList view using renderItem prop. 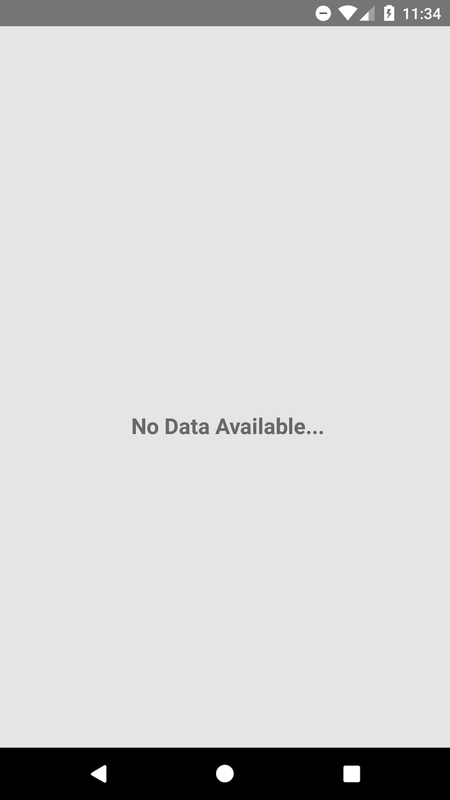 When data is not available, then it will display the error message "No Data Available" to user. We are using ListEmptyComponent prop, to display appropriate error message in FlatList view. 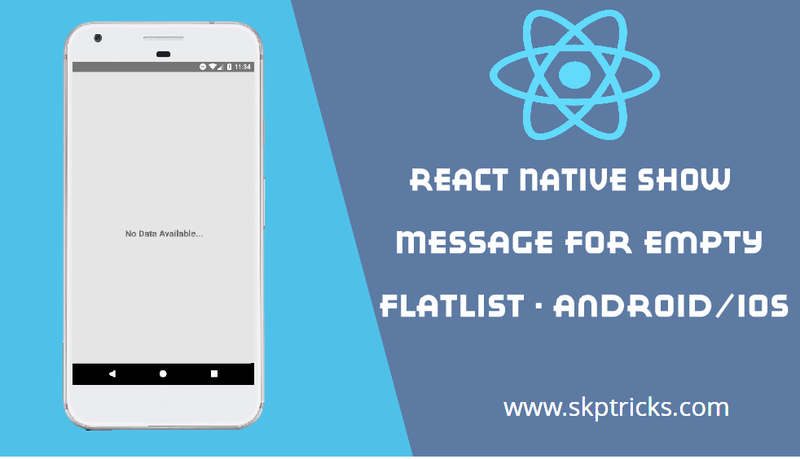 Lets follow the below steps to Show Message for empty FlatList view in React Native. Step-4 : Create constructor in your App class with props parameter and Create super method with props parameter in constructor. For this example we are setting state object to empty, in order to display error message in FlatList view. Step-5 : Create a function named as FlatListItemSeparator. Using this method we are generating the FlatList each item separator – divider line. Step-6 : Create GetItem method to show the selected FlatList item name with help of alert dialog box. Step-7 : Create a function named as ListEmptyView() and this function return error message "No Data Available". We are binding this function with FlatList component prop name as ListEmptyComponent . This function automatically called when FlatList is empty. Step-8 : Implement render method and return FlatList component wrapped by root View component. Specify the below parameters in FlatList component as props, that helps to form list layout.The basic key props that are necessary, while using FlatList component. ListEmptyComponent- When list is empty, then this props will rendered with appropriate message set by user. Step-9 : Apply the below style sheet design. 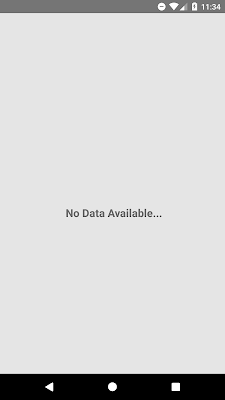 Lets see the complete source code that helps to display error message "No Data Available", when FlatList view is empty in react native application. This is all about React Native Show Message for empty FlatList. Thank you for reading this article, and if you have any problem, have a another better useful solution about this article, please write message in the comment section.